What causes your pet allergy? Pet allergy is the second largest cause of allergy in the home in the UK. Animals release proteins from their hair. When this protein is inhaled or comes into contact with skin, those with pet allergies will have a reaction. Most allergic reactions tend to be hereditary. Often younger children who suffer from asthma will be more likely to develop a pet allergy as they get older. Sneezing and coughing or Asthmatic coughing and congestion. Itching, watering and reddening of eyes. Hay fever-like symptoms of sneezing and a runny and/or blocked nose. Itchy and red rashes appearing on the skin. Swollen, blue-coloured skin under your eyes. This can exacerbate other ailments you have, such as asthma, eczema, hay fever and eye problems. What could make your pet allergy worse? To diagnose a pet allergy, it is recommended to visit your GP. A pet allergy can mostly be identified by your symptoms, alongside when and where they occurred. It is likely that either a blood sample or a skin test will be taken to confirm a pet allergy. What measures can I take to help my pet allergy? For pet allergies, there are many precautions you can take to make your life easier. Pet dander can cling to upholstered furniture. However, products such as Bio-Life Home Cleanse can make upholstered furniture as allergy-friendly as possible. Air purifiers are excellent for removing pet dander and allergens from the air. This is particularly essential with dogs/cats moving about the home releasing hair and dander particles as they go. Wash bedding weekly at a temperature of at least 60°C. We would recommend using the Allergy UK award-winning Bio-Life Fabric Cleanse to improve the standard of your wash.
Hard floor surfaces are preferable to carpets and rugs. However, if floors are carpeted ensure that they are cleaned at least once a week. Steam cleaners will ensure a deep and thorough clean. When choosing duvets and pillows, it is best that they can be cleaned. 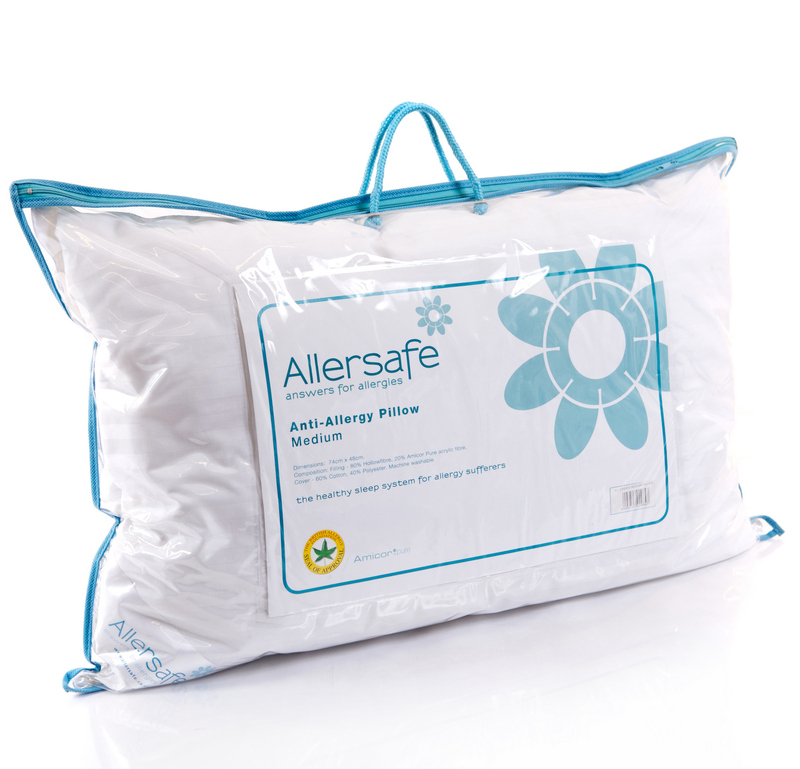 Basic cotton covers are ineffective in preventing allergens from entering the duvet. Mattress, duvet and pillow protectors/encasements should be used. 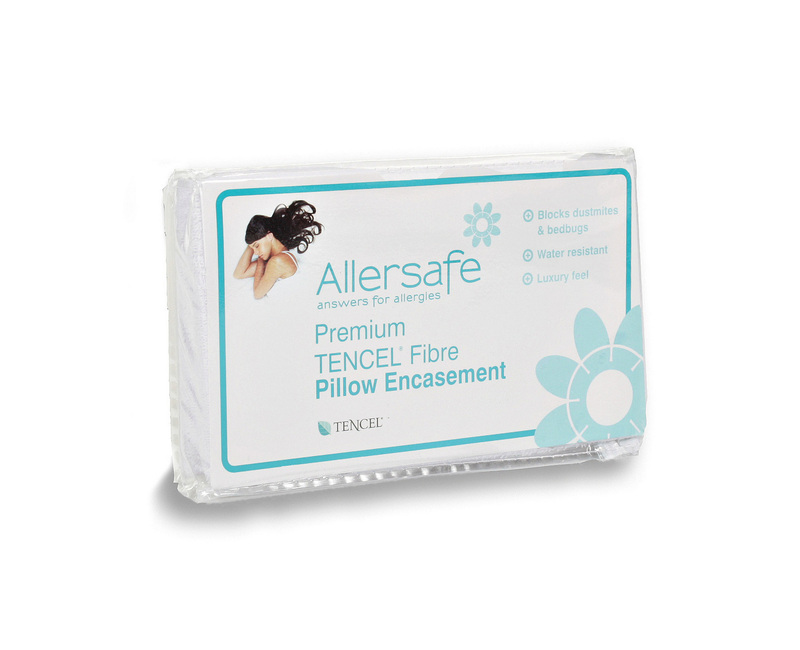 Anti-Allergy mattresses are recommended for keeping all allergens away from you whilst sleeping. It is also recommended to change your bed every 7 years and allergy sufferers should ensure their bed is anti-allergy. When choosing a vacuum, ensure that has an allergen filter, so you will get the optimum allergy protection clean every time. Can I still have pets with an allergy? If you have a pet allergy it’s advised that you should not become a pet owner. But what happens if you didn’t realise you had an allergy? When deciding to own a pet, ask a friend or family member who has a pet if you can try being a pet owner. If you have taken on a pet which you are unable to care for because of your allergy contact the RSPCA for advice. Quite often people who are allergic to pets have very little to no reaction to fish or turtles. If fish and turtles aren’t your things, rabbits and hamsters still produce allergen proteins but do not shed as much hair. They are often housed outside which makes them a safer choice for allergy sufferers. Dogs and cats should be cleaned at least once a week to lower the allergen levels in your home. 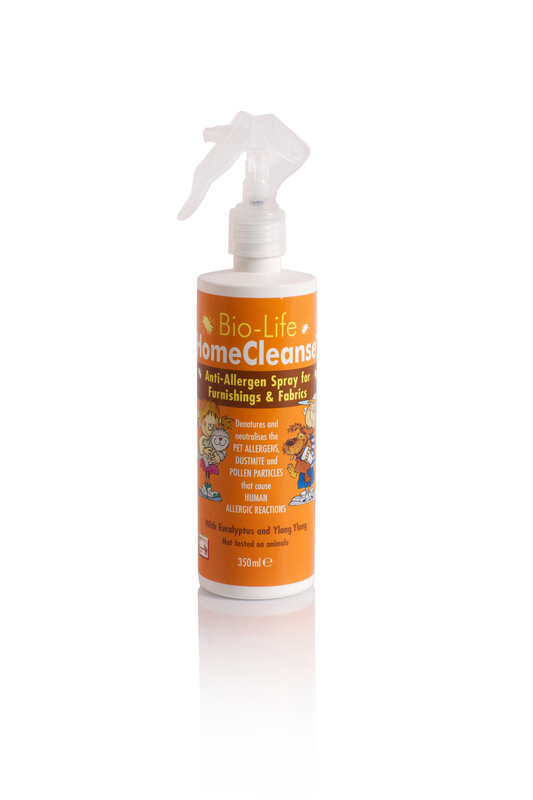 Bio-Life does a range of allergy reducing washes that are pet-friendly and help keep your allergies at bay. Air purifiers are excellent for removing pet dander and allergens from the air, which is particularly essential with dogs/cats moving about the home releasing hair and dander particles as they go. Having an allergy to pets makes people more likely to be affected by other illnesses of the airways. Asthma can be worsened by a pet allergy, and result in the asthmatic suffering severe asthma attacks. Pet allergy sufferers are more susceptible to ear infections. The allergens in the air and on surfaces and skin can cause difficulties with sleeping patterns and in worst case scenarios can cause insomnia. If you suffer from a pet allergy it is important to visit your GP; as you can be at risk of developing asthma, or worsening an already existing asthma problem. Whilst medication can improve and control a pet allergy, it cannot cure it. Immunotherapy – This is an injection or drops given to people with multiple allergies, which works against the allergy for three years. Nasal sprays – Used to lessen inflammation of the nasal passage, and reduce symptoms. Antihistamines – Tablets or medicine which blocks the histamine produced by your body to reduce the allergic reaction.